XGeneration: You Don’t Know Me Book Blast + Win $25 Amazon Gift Card! His latest book is XGeneration 1: You Don’t Know Me. Read a Chapter is *NEW* added feature at As the Pages Turn! Here you’ll be able to read the first chapters of books of all genres to see if you like them before you buy them. 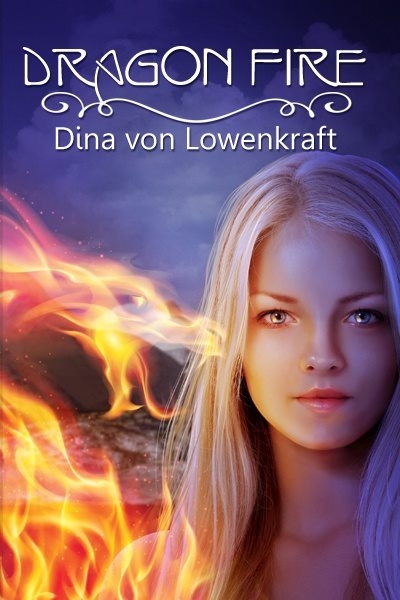 Today we are featuring the YA romantic fantasy, Dragon Fire, by Dina Von Lowenkraft. Enjoy! Some choices are hard to live with. But some choices will kill you. When seventeen-year-old Anna first meets Rakan in her hometown north of the Arctic Circle, she is attracted to his pulsing energy. Unaware that he is a shapeshifting dragon, Anna is drawn into a murderous cycle of revenge that pits Rakan and his clan against her best friend June. Torn between his forbidden relationship with Anna, punishable by death, and restoring his family’s honor by killing June, Rakan must decide what is right. And what is worth living – or dying – for. In the Arctic winter, the sun never rises. In the Arctic summer, the sun never sets. In the Arctic, the world is at your feet. The candle flickered in the subzero wind but Anna made no move to protect it. She stopped on the hill in front of Tromso’s three-year high school and watched the water of the fjord shimmer below. Even though it was mid-afternoon there was no sun, just the luminous reflection of the moon. The procession of students continued on without her, leaving only the fading sound of crunching snow in their wake. “You seem as eager to go to Fritjof’s memorial vigil as I am,” June said, startling Anna with her sudden appearance. Anna fingered the oval piece of bright orange coral that she had carried around like a talisman since she was a child. She usually kept it in her pocket, but today she wanted to feel its soothing energy closer and had it in her glove. She had never liked Fritjof, and even though she wasn’t glad he had died, she wouldn’t miss him. “It would take more than an avalanche to kill me,” June said, trying to smile. But Anna could feel her friend’s pain lurking under the surface. June spun around, pushing Anna behind her as if to protect her from an attack. She scanned the area, her body tensed for a fight. “Don’t know.” June crouched down to get a better look. Her hand hovered as a bright green light flashed around the stone. “Don’t touch it,” Anna said sharply. Her stone had always had a special energy, but never coral-colored sparks. Or green flashes of light. Anna knelt next to June. The stone was dark and lifeless and she felt a sudden pang of loss. She prodded it gingerly with her good hand, but felt nothing. She picked it up. It was just a pretty bit of coral. The gentle pulsing energy that she had liked so much was gone. “Can I see it?” June asked. Anna nodded, her throat constricted. The stone had always reminded her of her father. Its energy was something he would have been able to feel too. The only person she had met so far who seemed open to accepting that kind of thing was June. Everyone else got freaked out, or thought she was crazy. So she had learned not to talk about it. June closed her fist around the stone. “Where did you get this?” Her voice wavered. June returned Anna’s searching look. “I have no idea.” She handed the stone back. Anna picked up her discarded glove and froze. In the middle of her left palm was a star-shaped scar. She stretched her hand to get a better look. It was about the size of a dime. She touched it. Like an echo under the fading pain, she could feel the energy of her stone pulsing faintly in her palm. “What’s a Firemark?” Anna examined the scar. It was almost silvery in the moonlight. “It always felt alive,” Anna said, sure that June would understand. She touched the Firemark one last time before putting her glove back on. It was warm and smooth. Anna shrugged. “Maybe. But I like it.” Anna closed her hand around the Firemark. It felt like she was holding her stone. She smiled. She’d never lose it now. Anna hooked her arm through June’s. “I think so.” They walked silently through town and across the bridge that straddled the green-black fjord. “Do you think it’s over?” Anna eyed the Arctic Cathedral that sprawled like slabs of a fallen glacier on the other side of the fjord. It was lit up like a temple of light. The wind howled in agreement. Rakan bit back the urge to argue with his father whose shaved head and barrel chest marked him as an Old Dragon. But Khotan’s massive physique belied his diminishing power and Rakan knew that his father wouldn’t survive a fight with the female dragon they had finally located. He had felt her power when she had set off his trigger just a few hours before. And she was more powerful than any other dragon he had ever met. Rakan clenched his fists. Blood for blood. It was the Dragon Code. And he would be the one to honor it. His tone of voice, more than his touch, sent shivers down Rakan’s spine. But before he could question his father, a flicker of red caught his attention and his older half-sister, Dvara, materialized on the sparring field. Except she wasn’t dressed to fight. She was wearing a shimmering red gown that matched the color of her eyes and her black hair was arranged in an intricate mass of twisted strands. “It’s too late to teach Rakan anything.” She made an unhurried motion towards the targets at the other end of the field. One by one, they exploded with her passing hand. Khotan growled and stepped towards Dvara, dwarfing her with his size. He held her gaze until she dropped her eyes. Rakan shook his head, wondering why Dvara always tried to challenge Khotan’s authority in an open confrontation that she was sure to lose. Khotan was the guardian of her rök, her dragon heart and the seat of her power, and she had no choice but to abide by his will. Rakan knelt down in front of Yarlung. “I will do whatever it takes to kill Paaliaq.” His voice cut through the arid cold of the Tibetan plateau. Yarlung’s eyes flashed momentarily turquoise and Rakan stepped back as she morphed into her dragon form. She was a long, undulating water dragon and the scales around her head and down her throat glistened like wet opals. Without warning, a bluish-white fire crackled around him like an electric storm. His mother’s turquoise claws sank into his arms and pain sizzled through his flesh. The fire disappeared and Rakan collapsed to the ground, grinding his teeth to keep from screaming in agony. He would not dishonor his family. “No, you won’t,” Yarlung said in his mind. Rakan’s head jerked up in surprise. As suddenly as the contact had come, it was gone. And so was his mother. Rakan didn’t like it. Not her disappearance. That was normal. Yarlung had always been abrupt. But he didn’t like hearing her in his mind. It was something only dragons who were joined under a Kairök, a Master Dragon, could do. Few dragons were able to survive the rush of power that happened when their röks awakened without the help of a Kairök. But Rakan had. He gritted his teeth and stood up. If sharing a mind-link with Yarlung was necessary to kill Paaliaq, then he would learn to accept it. He held his arms out to examine the dragons that had appeared where his mother’s claws had dug into his biceps. They were long, sinuous water dragons like Yarlung. But they were black, the color of purity, the color of Kraal. Rakan watched the miniature turquoise-eyed dragons dance on his arms until they penetrated under his skin. He felt a cold metallic shiver deep inside as they faded from view. “You can drop me here.” Anna glared at her mother’s boyfriend who reminded her of his namesake: a wolf. Anna snorted. “You’re one to talk. You’re the one driving a sports car in the winter.” And she didn’t feel like having her teammates from the handball team see it. Anna ignored Ulf and struggled to get up while the dress she had decided to wear did its best to slide all the way up her thighs. Ulf moved to steady her as she wobbled in the high heels she wasn’t used to wearing but she pushed him away. Her shoes slipped on the icy snow and she grabbed the railing, wondering why she had decided to wear them. “We can stand out here, if that’s what you prefer,” said Ulf, looking up at the sky. “Let’s go in,” Anna said, trying to get Randi back in the house. “Sweet little Anna.” Ulf reached out to touch her cheek with his leather gloved hand. Anna resisted the impulse to slam the door and closed it calmly instead. The living room was packed with people dancing. She rubbed her forehead and walked over to the dining room table that was laden with food and drinks instead. She’d never understand her mom’s taste in men. “Tell me about it.” Ulf was by far the worst of her mom’s recent boyfriends. He was a liar and a manipulator. But her mom never saw beyond a pretty face. “No. She went away with her boyfriend and his family for the vacation. Why?” Anna asked sharply, not liking Siri’s look of relief. “He was persuasive, I guess.” Anna tried not to rub it in, but she was happy that at least one friend was coming back around. “Anna never thinks there are any nice guys. But I see a few.” Siri raised her glass and headed across the room that had started to get crowded now that a slow song was playing. “We told the guys that we’d be back,” said Red, nodding to where his best friend, Haakon, was surrounded by half the boys’ team. “But we can’t stay – we promised the girls we’d go to a dinner party. And they’ll kill us if we’re late.” Red and Haakon had dominated the court with their size and skill for the past three years, but neither of their girlfriends played. “I know. We’ve been busy. But I’m here now.” The music picked up again. “Dance?” He took her hand and then dropped it as if he had been stung. He grabbed her wrist and turned her palm up, revealing the star-shaped Firemark. “Who did this?” he growled, his face turning the telltale shade of red that had earned him his nickname. “What do you mean what did it?” Red gripped her shoulders. “You were the one…?” Red’s voice trailed off, but his eyes bore into hers as if he was trying to peer into her mind. Anna pulled back, breaking the contact. “What are you talking about?” She hadn’t said anything about what had happened on the hill and June had left town right after the vigil. “That is for Kairök Yarlung to decide,” Khotan said, using Yarlung’s official title as the head of their Cairn. As Kraal’s mate, she had taken over after his death. Khotan created a burgundy colored fireball that floated in front of him. “Either she isn’t Paaliaq, or she’s luring you into a trap.” The stone walls reflected the warm glow of the fireball. “This isn’t a game. And I wish we didn’t have to send you.” Khotan’s face went blank for a split second as it always did when he spoke mentally with another dragon. “Yarlung bids us come to Lhang-tso,” he said, standing up. “Now.” Khotan disappeared without a sound, the fireball still suspended in midair. Dvara followed in her stepfather’s trail, leaving Rakan to arrive last on the silver shores of the intensely blue lake that was Kairök Yarlung’s home. They faced the lake in their dragon forms. Khotan, an air dragon, rose on his burgundy hind legs and bellowed their arrival. The blue-white coils of Yarlung’s water dragon form undulated majestically in the center of the crescent shaped lake. Rakan had always felt a sense of awe in front of his mother’s abode. Something about its starkness, the pungent salty flavor of the wind that rolled off the lake, the beauty of the contrasting red hills that surrounded it in the thin air of its 4,500 meter high perch had always made him feel like he was in the presence of something profound. He smiled and rocked back onto his own hind legs, stretched his majestic coral wings and added his greetings to his father’s. Neither animal nor plant life ventured near the lake. They were refreshingly alone. And free. Dvara, a compact fire dragon with only the shortest of wings, dug her claws into the ground. She raised her jewel-like vermillion head and joined her voice to the others’. Yarlung approached the edge of the lake and morphed into her human form. She signaled for them to do the same. Flashes of turquoise glinted off her metallic white dress. Rakan knelt next to his father and Dvara, his right fist on the center of his chest where his rök pounded in excitement. The wind howled across the lake. “But the Code forbids blood relatives to have the same Kairök,” Rakan said. “But the risk…” stammered Khotan. Khotan bowed his head. “May your will be done,” he said, saying the traditional formula of submission to a Kairök. But Rakan could feel his father’s anger. Dvara tilted her chin and gave Rakan a look of triumph. She had wanted her rök back ever since Yarlung had declared that he would keep his and remain independent. But learning to control his rök had been harder than he had let on. Starting with when he had morphed for the first time not knowing which of the three dragon forms he would take. But even after he knew he was an air dragon, his rök’s wild power had nearly overwhelmed him. It wasn’t until Khotan had taught him to control his emotions that he could morph without fear of involuntarily killing himself or his family. Khotan walked over to Dvara, his fluid black pants snapping in the wind. They stood still, facing each other as equals even though Khotan loomed over Dvara’s delicate figure. Khotan began a low chant in Draagsil, the ancient language of the dragon race. He lifted his arms to the sky, his bare chest glistening like armor. Energy crackled and began to circle him. It spun faster and faster until Khotan was nothing more than a shimmering mirage in front of Dvara. A faint drum-like beat began, steadily increasing in tempo as it grew louder. Suddenly, the wind died and the beating stopped. A mass of pure vermillion energy licked Khotan’s hands like the flames of a fire. The energy condensed in a flash of vermillion light, leaving a bright red stone in Khotan’s palm. Dvara’s dragon heart. The rök lurched. Rakan stood ready to intervene if things got worse. Whether he was supposed to or not, he wouldn’t stand by and watch her die. A brilliant flash of intense vermillion encompassed Dvara, knocking her to the ground. 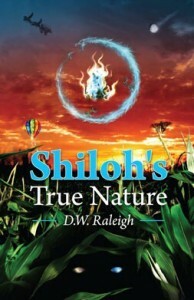 Khotan knelt next to Dvara and touched a hand to her forehead, healing her with his energy. She latched onto Khotan, her red eyes echoing the wildness of her rök. Yarlung growled her impatience, but Dvara didn’t take her eyes from Khotan’s. “I do,” Dvara said solemnly. “What consequences?” thought Rakan, glancing at his mother. But she ignored him. Khotan morphed and sank his claws into Dvara’s bare arms. Rakan watched, horrified, as Dvara writhed by the edge of the lake in a mixture of rapture and agony. A black winged air dragon with burgundy eyes danced on each arm before fading under her skin. “Go now,” Yarlung said, her words lingering for just a moment after she disappeared. Rakan nodded, confused. Didn’t his father know that Yarlung had marked him too? Khotan disappeared. It was time. Read a Chapter is *NEW* added feature at As the Pages Turn! Here you’ll be able to read the first chapters of books of all genres to see if you like them before you buy them. 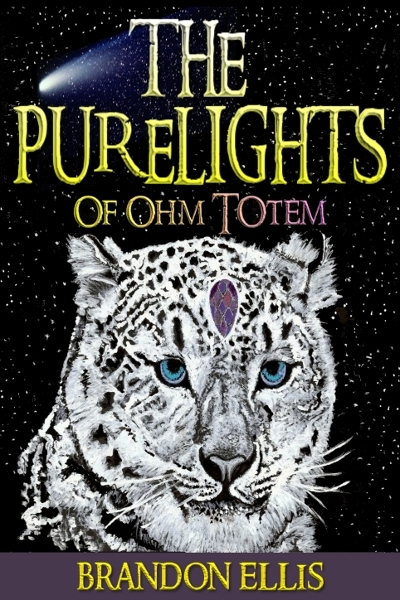 Today we are featuring the young adult fantasy, The PureLights of Ohm Totem, by Brandon Ellis. Enjoy! It was nightfall. A snow leopard walked toward a split in the river. The wind howled against her body as fur clung to her skin. She leaned into heavy gusts, digging her claws deep into the earth, keeping herself upright. Her eyes were mere slits, protecting her from flying dirt and ash swirling violently in the air. The once lush, sacred land was now burnt to black cinder. Smoke rose from the ground, wildly spinning in harsh wind. The old dwellings, formed from earth and fallen branches, were mostly gone—turned to embers. She stopped near the river’s edge, facing the mountain range to the west. The mountains stood like black silhouettes amidst dark gray clouds. 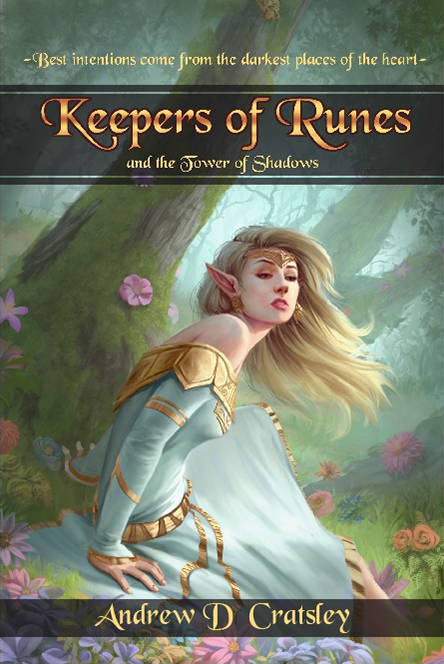 She turned her head to the north, sensing a group of eyes hidden behind a shadow of trees. They were watching her. The snow leopard closed her eyes, then took a deep breath. A flicker of light flashed above, casting shadows from clouds, trees, boulders, and smoke across the land. Opening her eyes, she sat down on her hind legs, folding her long tail over her paws. She stared patiently ahead. More than just instinct had led her here. Another strong gust of wind lashed against her body, making her grip the earth even deeper. She closed her eyes again. An instant later the wind calmed, allowing her to let go of the charred earth. She looked at the night sky as the gray clouds parted—one half flowed north, the other half south—revealing a star-filled canopy above. Suddenly she winced. A large comet raced across the sky, painting a crystal-blue streak among the stars above the mountains. Her eyes intently followed the blue comet as it slowly vanished into the western horizon. Then she nodded to the sky, as if communicating with it in some mystical way. The snow leopard dropped her gaze, eyeing the ground in front of her paws. A rolled up scroll, which wasn’t there a moment before, lay in front of her. Placing her paw on one end of the scroll, she nudged the opposite end toward the river with her nose. It rolled out, revealing gold paper thickly outlined in black. Two children from a forgotten land will purify the energies, bring back the old ways, and unite the PureLights once again, putting an end to the coming Shiver. She removed her paw from the scroll, nosing one end closer to the other, and rolled it up. She gently grasped it between sharp teeth, then stood on all fours. She sniffed the air. Danger was near. A burst of wind buffeted against the snow leopard, slightly unbalancing her. Closing her eyes, the wind slowed to a slight breeze. Opening her eyes, she turned and slowly walked to the east, passing several mounds still smoldering from the fires that had once engulfed them. She looked north, feeling a group of dim eyes burning deeply into her snowy pelt. She knew they’d killed before. She knew they wanted to kill again. Continuing to walk eastward, she came to a large dwelling mound half-burnt to the ground. It gave off heat, but little smoke. She sniffed. It was empty of life. She glanced once more at the ruined land and a pain of sorrow sank deep within her. Everything around her was dead. Her friends. Her family. Everything. Lifting her head, she stared to the north once more, narrowing her eyes as she studied a thick fog hovering in a stand of sparse trees in the distance. Still clutching the scroll, she gave a loud moan and watched the fog for several more moments, waiting for a reply. Turning to leave, she noticed something on the ground. Something important. Fresh tracks. She sniffed intently—panther scent. Her head jerked, her eyes widened. He’s alive and he was here only moments ago. Why didn’t she sense him? Just then she heard several yelps. She turned to face six white wolves walking cautiously toward her. Their fur bristled and their ears were pulled back. They advanced toward her with low growls. It was a display to induce fear, one that was wasted on the snow leopard. Backing up slowly, the snow leopard moved her head from left to right, studying each wolf as the group began to surround her. The closer they came, the tighter she held the scroll. Suddenly she stopped, surprising and confusing the pack. Their usual slaughters involved a chase. A flash of light appeared silently above. The pack looked up as the light changed from white to crystal blue, sending a hue of color against the land, then it slowly faded away. Something about this omen told the pack that tonight’s prey was different, something they’d never encountered before. The pack leader glared at the snow leopard as he let out a loud, throaty growl, saliva dripping from both sides of his mouth. The wind from the north picked up just as the leader crouched and leaped at her with bared teeth. She easily side-stepped the attack. The leader landed directly on the spot she’d just occupied, swiping in vain at empty air. Another wolf sprang. Her back was to him, but she spun out of the way and swatted his backside, sending him further along his planned course. His outstretched paws gripped the earth as he landed, stopping him just inches from a burnt tree. The snow leopard sat down, calmly looking back at the leader, then exhaled as she placed the scroll on the ground. She licked her paw, wiped her forehead, and picked the scroll back up. She blinked softly, purring. She seemed content with the situation. The leader pulsed with adrenaline as he jumped at her again, thrusting his feet outward, hoping to knock her over at the shoulders. She crouched, twisted toward him, deftly moving directly under his body just as he was at full height. She flipped on her back, facing her belly to his, briskly planting her feet on his stomach, pushing firmly in the direction he had jumped. The wolf, surprised, landed much further away than intended, and lost balance, somersaulting head over heels as he yelped with pain. When he stopped tumbling across charred earth, he shook his head, flinging dirt and ash from his fur, then sprang to his feet. He gave a high-pitched growl, signaling the pack to form a line in front of the snow leopard. Growling in unison, they obeyed. The leader barked an order and one by one they attacked her. And one by one they missed. The snow leopard shook her body like a wet dog, then sat back down on her hind legs, waiting for the next attack. The leader signaled for the pack to regroup. They formed another line, standing to the east of her, blocking a throng of trees that formed the outskirts of an enormous forest. She stared longingly beyond the pack to the forest’s edge. They knew it was her only escape. She looked up to the night sky as a thin set of clouds whisked by, uncovering a full moon. Her brow crinkled in worry. She must find the panther. The wolves crouched low, ready to attack. This time it was the whole pack all at once. The snow leopard had had enough. She closed her eyes and took a deep breath. Instantly, the growls stopped and six thuds echoed through the air. She opened her eyes. In front of her, the wolves lay on their sides, breathing deeply, looking as if they were sleeping comfortably in their dens. She bowed her head, and then with a flick of her tail sped off toward the wall of trees to the east. Just before entering the forest, she stopped and put down the scroll. She nudged it open, peering into it again. She glanced over her shoulder. The wolves were still asleep. She closed and picked up the scroll and looked up to the night sky. Blinking softly, she purred in gratitude for the scroll held in her jaws. A moment later she leaped forward into the thick forest, vanishing into shadow. Braxton A. Cosby is a dreamer with a vision of continuously evolving and maximizing the untapped potential of the human spirit. Braxton received a lot of his inspiration from watching the accomplishments and exploits of his famous uncle, comedic legend Bill Cosby. 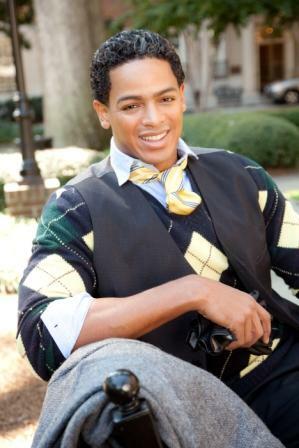 A physical therapist by background, Braxton received his Bachelors, Masters, and Doctorate from the University of Miami. 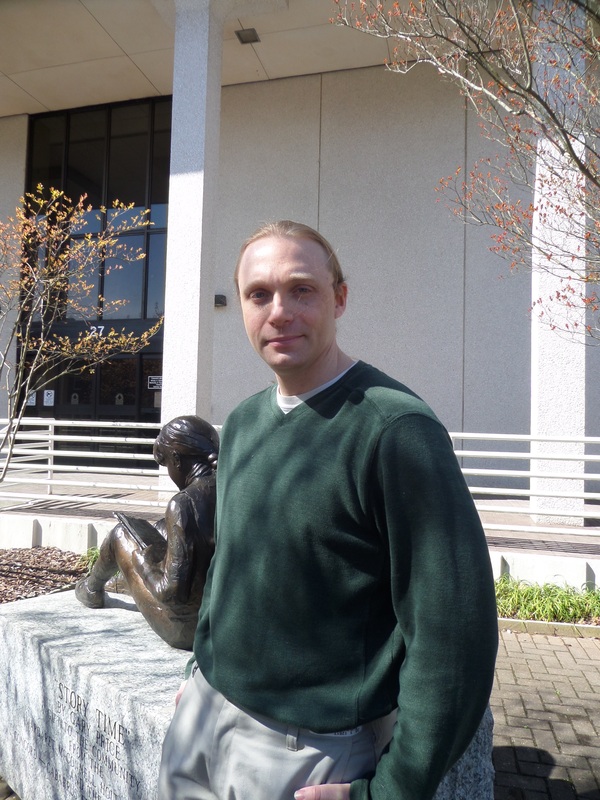 Braxton’s fascination of science grew into an obsession of Sci-fi and on one unassuming Sunday, this self-proclaimed romantic decided to pursue a “calling” to create a new genre of writing; Sci-Fance-mixing science fiction and romance. Braxton lives in Georgia with his wife and two children. He believes that everyone should pursue joy that surpasses understanding and live each day as if it were the last. His latest book is the young adult science fiction novel, The Star-Crossed Saga: Protostar. You can visit his website at www.braxtonacosbygodson.com or connect with him on Twitter at www.twitter.com/cosbykid84 or Facebook at http://www.facebook.com/profile.php?id=100000215860223. It Starts With Choice! What would you choose: love or irrefutable duty? On the brink of Civil War, the Torrian Alliance continues with its mission to obliterate Star-children across the universe in order to suppress an intergalactic evil. Following the recommendations of his Council, King Gregorio Derry has agreed to send his only son on a mission to restore honor to his family. Bounty Hunter Prince William Derry has crossed thousands of light-years to planet Earth, in order to fulfill this age old prophetic practice. The quiet days of Madisonburg, Tennessee are officially over as Sydney Elaine now knows the full meaning of the phrase Be careful what you wish for when she is confronted by this strange visitor. As an unforeseeable event delays his assassination, William decides to study his target more closely and begins to form a connection with Sydney that challenges his inner being. But this conflict is the least of his problems, as a conspiracy back on his home planet Fabricius threatens the lives of those he loves and his father s royal legacy. Along with that, he must unravel a hidden menace here on Earth that seeks to secure a vested interest that threatens both his and Sydney s safety. Will William be able to complete his mission or will he choose love, sacrificing everything he stands for? Q: Thank you for this interview, Braxton. 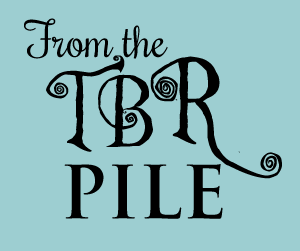 Can you tell us what your latest book The Star-Crossed Saga: Protostar is all about? At the core of Protostar, is a love story and a journey of two young people as they venture into the beginnings of adulthood. The weight of the decisions that they make will produce ripple effects that will not only impact their lives, but those of the ones they love. Inevitably, as we all grow and mature over time, we are given the opportunity to make choices. We must be accountable to those choices; understanding that we must accept their outcomes, whether good or bad. 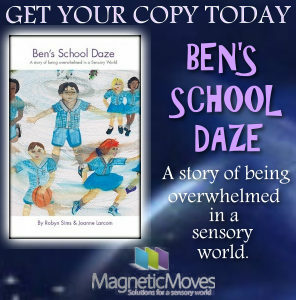 I hope that readers take are able to pull this out of the story and I especially encourage young people to reflect on the importance of being true to you and following the “straight road” and listen to their heart over the pressures of the world. Q: Thank you for this interview, Braxton! 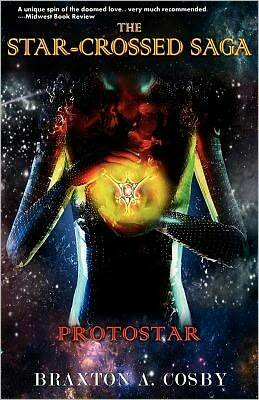 Your book, The Star-Crossed Saga: Protostar, sounds absolutely fascinating! YA is hot, hot, hot right now and I’m curious to find out more about the main and supporting characters. Can you tell us a little bout them? Two main characters: William and Sydney. William Derry is the main character that must make the decision between love and duty. He is the Prince of the Torrian Alliance and also a bounty hunter. He’s a complicated character to write because he has lived this very structured, pristine life with everything he wants at his fingertips. Yet, he decides to venture out on this crusade to salvage his family name. The strength of his character is that he has strong convictions and he is very accountable to his actions. His morale ethics are a big part of the dilemma he must face when ultimately making his decision. Sydney Elaine is the female of interest. She is a typical, small town teenage girl that dreams of big adventure and love. She is finally given both and she must now learn to understand how to cherish receiving that which she longed for. Her character will develop a lot more over the length of the trilogy, with typical challenges of going to school, peer pressure from friends and understanding the voice in her heart that draws her towards a wayward stranger. The supporting characters of the book are Sheriff Henry Gladston, Jasmine Carruthers, Sienna and Zelwyn. All of them play a key role in the evolution of Sydney and William’s relationship, with each one of them possessing a valuable element that is key to the outcome of the storyline. Q: I know some writers tend to base characters on people around them and yet some rely strictly on imagination. Which route did you take? It’s a mix. I like to write out of personal experiences and thus, some of the personalities, if not all, come from people who I know or have come in contact with. I like the authenticity or lack thereof, of people when you meet them for the first time. Some are genuine and some, not so much. Either way, most times you will end up getting a character that you can write from in your story. Q: When you start writing a book, are you aware of how the plot is going to go or do you discover it as your write? No. God gives me the storyline up front through inspiration, then I begin to tinker with it and develop it over time (with God’s help). Once the stories come to life all that is left for me to do is to produce the outline so that I can write from it. Q: I would like to talk about the setting. Your book is set in Madisonburg, Tennessee. Tennessee is one of my most favorite places to visit! Why, in your case, did you choose Madisonburg in particular? Two words: Crop Circles. Madisonville, Tennessee has one of the highest numbers of Crop Circles sightings in the entire world. I decided to change it to Madisonburg, so that I could have a little more flexibility with writing the geographic and demographic details of the city. Q: Wow. In all the times I have been to Tennessee, never did I know that. I’ll have to check those out the next time I visit. I would love to see them! Now, the setting. Did the setting play a major part in the development of your story? Yes, mainly because of the Crop Circles and because I wanted to pick a setting that reflects the simple laid back personality of Sydney. Big city is way too busy. The action that will take place may have been consumed by it had I picked a place like New York or Los Angeles. Q: I want to get an inside peek. Can you open the book to page 69 and tell us what is happening? William just crash landed on Earth and he is making plans to disembark from his ship the Daedalus. He is speaking with the ship’s artificial intelligence and then the scene flashes to Sydney. She is sitting in her room daydreaming of a day that adventure would come into her “boring” life. Q: Can you give us one of your best excerpts? Yes, here it is. This is a scene that takes place on top of Sydney’s grandmother’s house, where she and William are starting to get closer. William reached down to the quilt and grabbed his glass of tea and finished it off. Then he took Sydney by the hand and placed a small subtle kiss on it. William decided a dramatic exit was the only appropriate way to end the evening. He gave a few short hops towards the end of the rooftop, planted his feet along the edge and vaulted upward, floating away from the edge of the house and landing perfectly on the back lawn. Sydney raced towards the edge, making sure William was safe. She shook her head in wonderment as he disappeared behind the barn doors. Then dropped to her knees, staring at the hand William kissed and thinking, “Could this guy really be my Prince Charming? Thank you so much for this interview, Braxton. We wish you much success! Join Emlyn Chand, author of the YA paranormal novel, Farsighted (Blue Crown Press), as she virtually tours the blogosphere December 5 – 16 2011 on her first virtual book tour with Pump Up Your Book! Emlyn Chand has always loved to hear and tell stories, having emerged from the womb with a fountain pen grasped firmly in her left hand (true story). When she’s not writing, she runs a large book club in Ann Arbor and is the president of author PR firm, Novel Publicity. Emlyn loves to connect with readers and is available throughout the social media interweb. Visit www.emlynchand.com for more info. 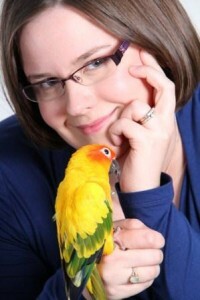 Don’t forget to say “hi” to her sun conure Ducky! 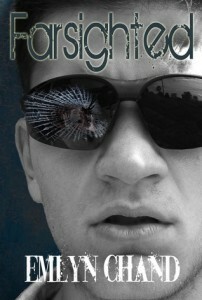 Farsighted is her latest book. Visit her at Facebook at www.facebook.com/emlynchand and Twitter at www.twitter.com/emlynchand! Visit her official Pump Up Your Book tour page here! 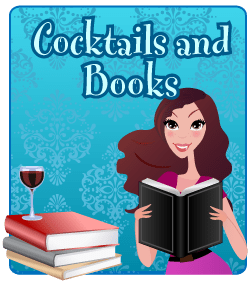 Don’t forget to join Emlyn and fifty other authors at the Pump Up Your Book 1st Annual Holiday Extravaganza Facebook Party on December 16th! Visit Emlyn’s tour page for more details!